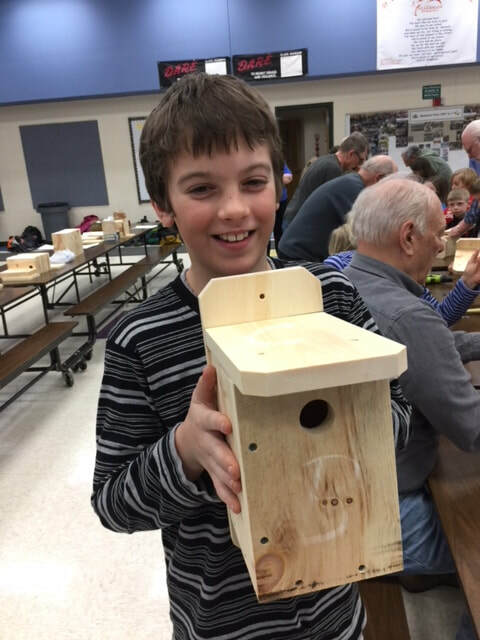 2018 Birdhouse Building Project with St Germain Elementary School - Thanks to Pukall Lumber for donating the materials! 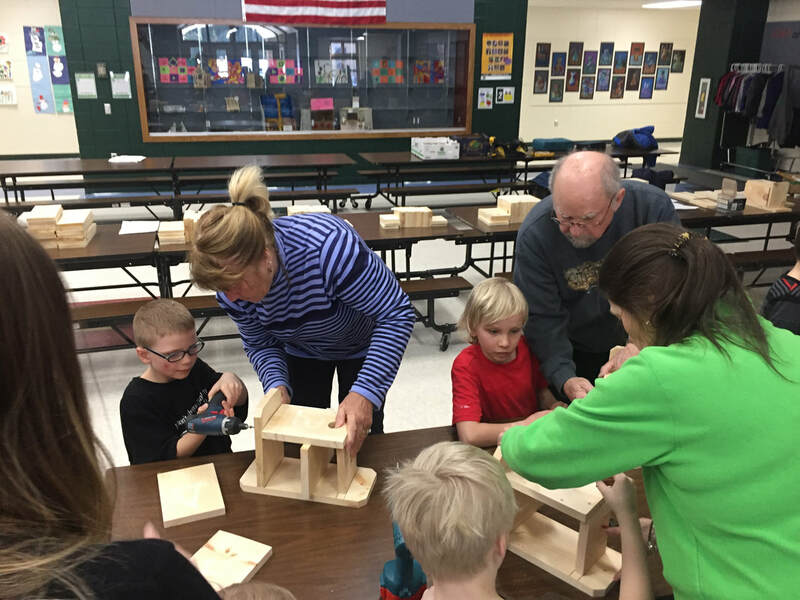 Don't forget about the community support program at St Germain Sentry. Every time that you shop at Sentry, write our club's code (CD14) on the back of your receipt and deposit in the bin on the service counter. They donate a portion of those sales to our club. 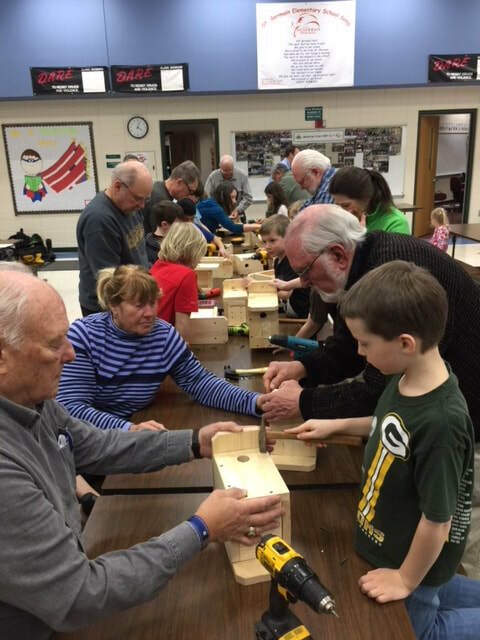 Club members work on a variety of service projects including building loon nesting platforms for area lakes as in the above photo.